Who said baseball couldn't inspire timeless design? 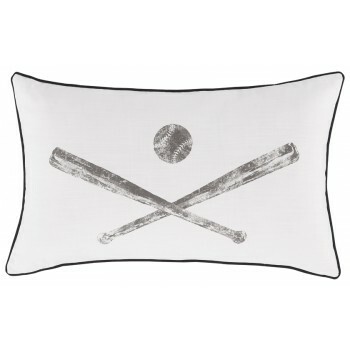 This throw pillow's fading bat and ball image on the cottony soft cover is nostalgic with style. Monochromatic palette fits into your home with ease.